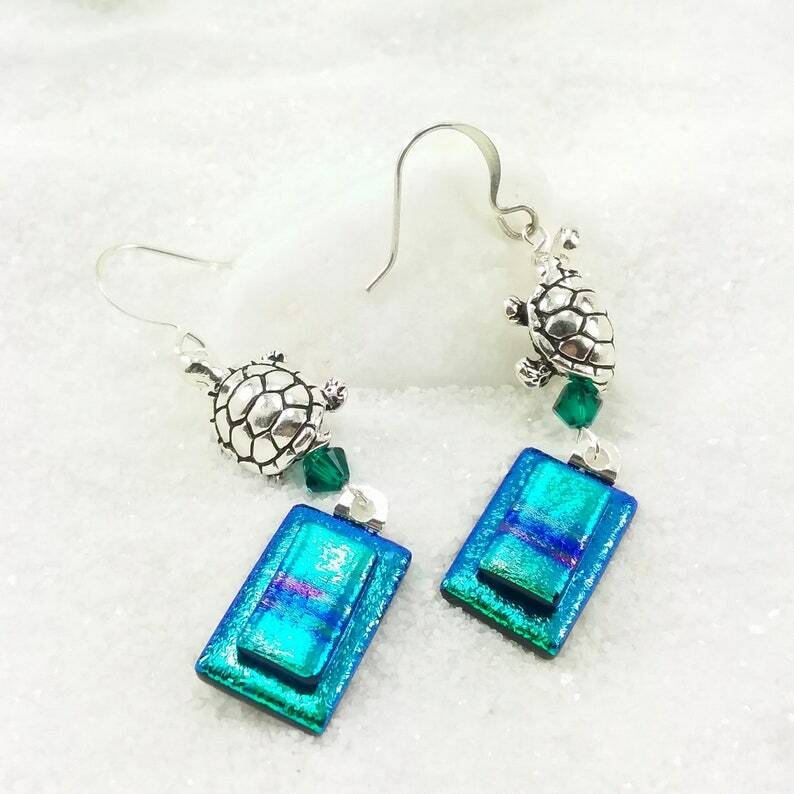 Adorable Sterling silver turtle charms adorn these sweet dichroic glass earrings! Emerald green dichroic glass paired with a fun green/blue/purple gradient stripe right in the center. Swarovski crystals of Emerald green sparkle at the tops with the little Sterling turtles. So cute! Set with silver plated bails & ear wires.